Welcome home to this beautifully renovated 4 bedroom, 2 bathroom, home with an attached 2-car garage. 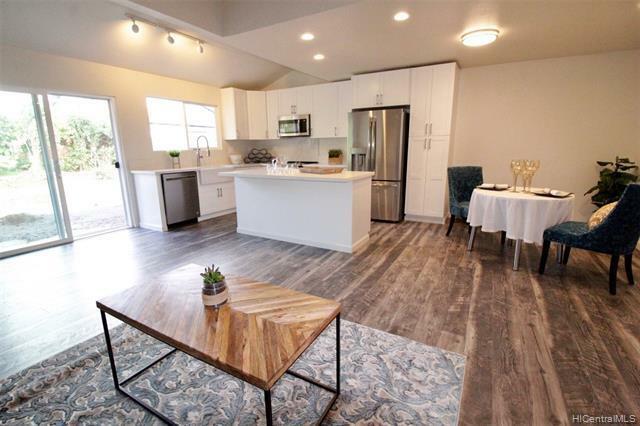 Some of thebrand new upgrades include: new luxury laminate flooring, new cabinetry, all new stainless steel appliances,interior/exterior paint, and much more! Wonderful back yard for relaxing or entertaining. Close proximity to shopping centers, Costco, and just minutes away from Sandy's beach! Ride your bike to the beach! This home is ready for your family to enjoy for many years to come! Does not match tax records.